In our last blog we told you about our Road Trip to Rio Celeste, but what we didn’t tell you is that we kept heading south after that and made it all the way to Osa Peninsula. It was absolutely breathtaking, to say the least. Full of natural beauty, green, wild, rugged, and very inline with the images that come to mind when you think of Costa Rica. This area is fascinating as there is so much going on in terms of conservation, community and also responsible and sustainable tourism. 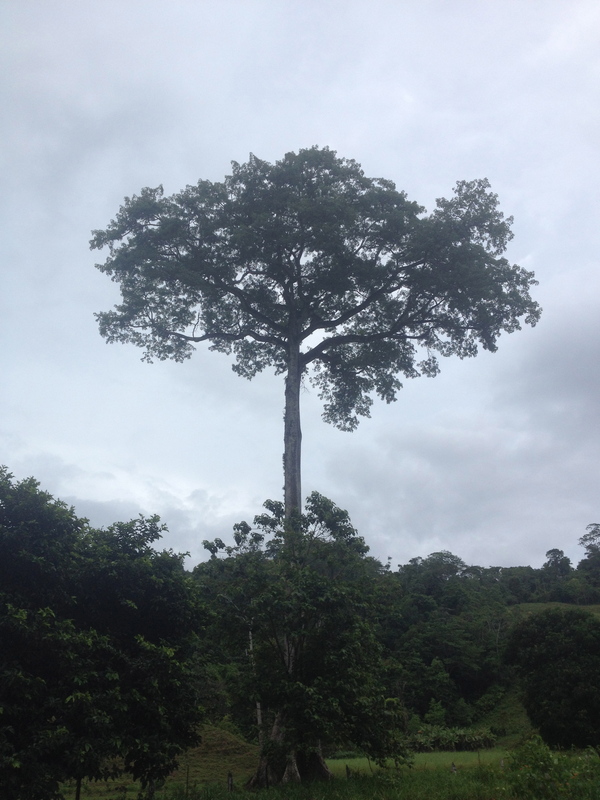 What most people know about Osa Peninsula is associated with the large national park there; Corcovado National Park. But there is much more going on in the entire peninsula. We took a long rocky road to Drake Bay and passed through an area which we later learned was becoming part of a new rural tourism initiative. We were so lucky to meet Jessica Roldan who’s working to help the local community benefit from rural tourism. She explained to us one of the new projects called Rancho Quemado, where visitors can experience a traditional and local way of life, with everything from more nature trails to sampling homemade cuisine, and making handmade sweets using a traditional sugar mill. Projects like these benefit the community, help preserve cultural traditions, and contribute to environmental conservation. (See our Let’s Get Local tour for a similar concept in the Southern Nicoya Peninsula). While we didn’t have time to explore this area more, we found that people in Osa and particularly in Drake Bay were especially helpful, proud of the environment they want to conserve, and willing to offer lots of unique tips for seeing the best of area. 1. Getting there: Getting to Osa can be challenging and few tourists make it here. It is possible to get there by car, but the road conditions definitely call for a 4×4 vehicle, and your rental car will probably hate you for subjecting it to this drive. There are buses that go all the way to Puerto Jimenez. From there you can book a tour either to Corcovado or reach the town of Drake Bay by boat. There is also a small airport in Drake Bay which Nature Air flies to from San Jose. Keep in mind rainy season (September-October) will make road travel to this area virtually impossible. 2. Tours: Give yourself at least 3 or 4 days in the area, and book your tour to Corcovado in advance! We found out the hard way that you cannot go to Corcovado without a booking a guided tour, so make sure you plan to spend around $75 for a day tour depending on where you start from. 4. Bird Watching: If you’re coming to Costa Rica to do some birdwatching, this is definitely an amazing spot to do so. You’ll see plenty of the desirous toucans, macaws and sooooo much more. 5. Conservation: Because the area holds so much natural beauty… let’s do our best to keep it that way. Book tours with responsible guides and companies, and be sure to work in a tour that relates to rural tourism to support the local communities as well. This entry was posted in Costa Rica, Nature, Travel and tagged bird watching in costa rica, costa rica, JC's Journeys, local tours, Nature and Conservation, Osa Peninsula, Rancho Quemado, Rural Tourism, sustainable tourism, Travel and Tourism. Bookmark the permalink.